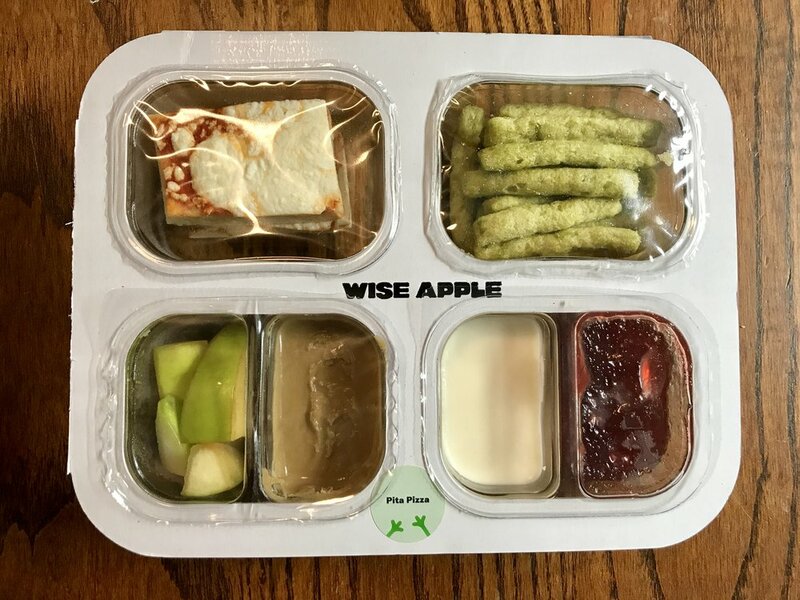 Wise Apple Lunches + 20% Off For You! *Disclaimer: This post was sponsored by Wise Apple, but all thoughts and opinions are completely my own. Are you sick of packing lunches yet? If the answer is anything but HECK NO, I have some great news for you. The highlight of the last few weeks at our house has been the arrival of a little brown box on our doorstep full of yummy goodness from Wise Apple! Each time they were so excited to rip open the recyclable packaging and couldn't wait to get their hands on the treats inside. 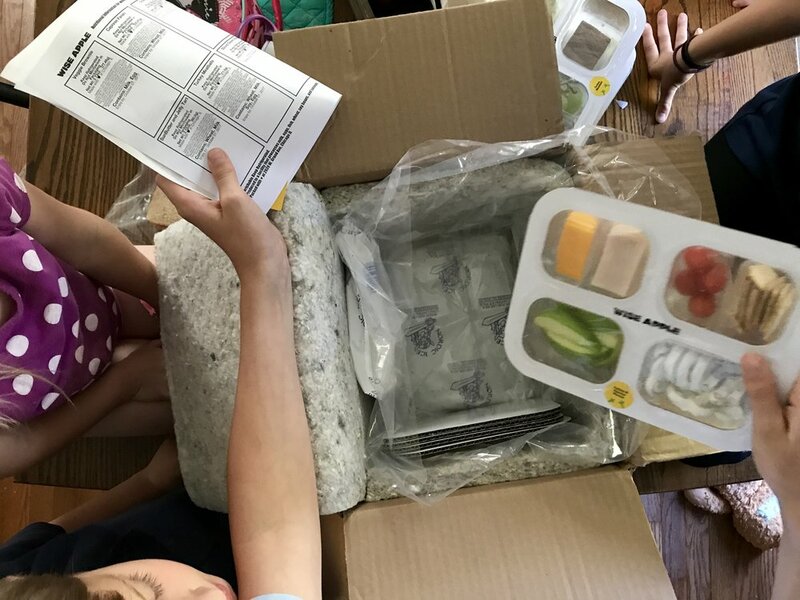 Wise Apple is committed to "making your life easier by making lunch better," and they do so by delivering healthy, homemade, completely customizable (perfect for picky eaters!) school lunches right to your front door. It's food kids will love (mine did! 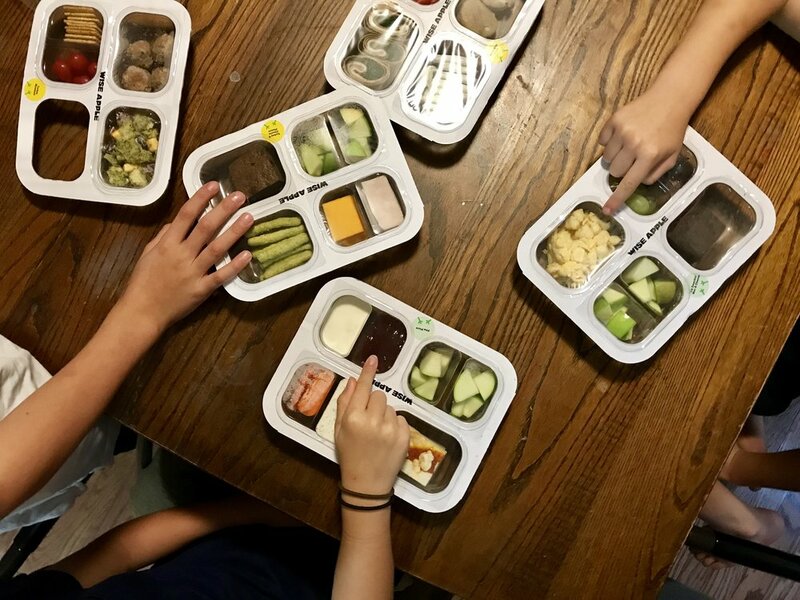 ), and packing lunch will be one less thing for parents to worry about. Of all the tasty options over the last several weeks, their favorite item on the menu was the chocolate covered pretzels, hands down. They also loved the pita pizzas, fruit and yogurt, grapes, turkey and cheese, brownies, cookies, breakfast quesadilla, apples, and more. I wanted to try a bit of everything, too, and I really enjoyed the pesto pasta and carrots with ranch dip; I'm quite the "condiment queen," if you will, so believe me when I tell you the ranch dip is GOOD. I don't know about you, but mornings at our house are CRAZY. Kids yelling, trying to find a clean shirt, spilling Cheerios all over the table, blasting music, packing lunch sacks, loading bookbags, tying shoes, and making a mad dash out to the car get to school on time. Knowing that I don't have to worry about preparing food for school lunches makes for a less stressed morning routine and a happier mama. 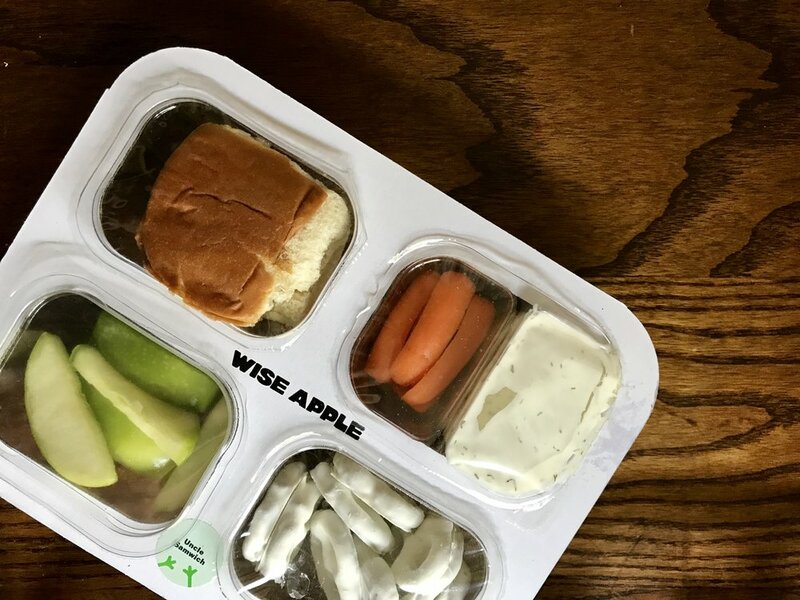 Wise Apple uses only real, fresh ingredients to make meals that are nutrient-rich and not full of empty sugar and carbs, which is especially great for my diabetic daughter. If you're anything like me and find yourself longing to delegate some responsibilities where you can, let Wise Apple save you some time and sanity. Use my code CAMERA to receive 20% off your first week of lunches, and make sure to let your friends know how they can save money on healthy, convenient school lunches! You won't be disappointed!